As one of the UK’s largest rice mills in the UK, and Top 100 Sunday Times Fast Track Company (2012), Veetee Rice challenged our students to increase the company’s brand awareness and penetration. Over the course of ten weeks, Kent Business School students undertook careful and detailed market analysis and research around communication strategies, market segmentation, customer profiling and brand awareness. The research culminated in a pitching session during which, the students presented their key recommendations to deliver the company’s key messages. 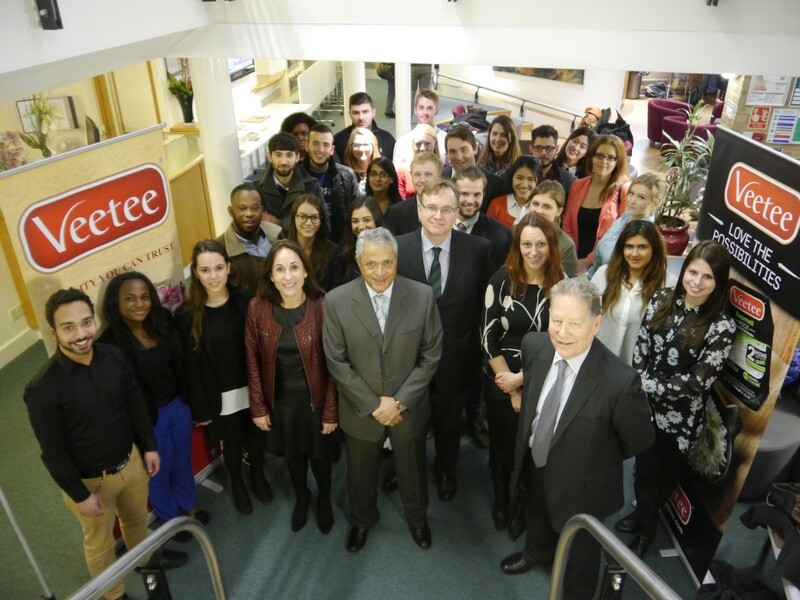 The students who most impressed the panel of senior company managers were given the opportunity to be considered for a month long internship with Veetee Rice. “This has been one of the most interesting and insightful projects I’ve ever undertaken at university. It gave a taste of what it is like to pitch ideas to senior members of a company; an experience I can refer back to when I begin my professional career”. Pitch it! is a great way for organisations to get new ideas that are highly innovative and practical. In the past, business pitches have looked at human resource management, strategy, branding, market segmentation analysis, media & communication plans. For more details about Pitch it! and other student projects and opportunities to partner with Kent Business School, visit the Pitch it! Webpage.